I don't know the first thing about car mods and was wondering if anyone had any suggestions for the cheapest things I can do to improve performance? I've done some research and it seems like getting a cool air intake will help and is pretty cheap? Any suggestions/information would be appreciated! Handling. rear swaybar as don’t think you get one from factory. Look for any stock wrx or sti one. You may need the brackets off a wrecked car. Thanks for the input guys. I bought the car from a dealership so I think they've done the filter, put new spark plugs and whatnot, but i'll give it a check. did some more research and I was thinking of starting by replacing the axleback exhaust. Does anyone know how much that should cost me if i get it done at a garage? And how much that might improve performance ? Don't try and increase the power... you have a 1.5 with no turbo, so it's going to be very hard to increase the power. I personally would not spend any money on it... just drive it the way it is and enjoy it. I think we would all concur with this statement. If you want more performance start saving and buy another car one day. You won't really get any value for money out of this one. 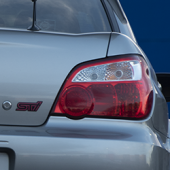 Enjoy the Subaru life with a decent fuel bill while you can! If anything, start collecting tools, jacks, axle stands etc, start learning to maintain it yourself, you’ll save a lot, and learn a lot. We have had this conversation quite a long time ago with another member that had basically the exact same car. @Subru I think it was? The only thing really worth doing is putting some adequate tyres on it. Yeah I had the 2.0 tho. I agree its not worth modifying too much as its only a 1.5. A nice set of wheels and tyres is definitly an option though. If you want it lowered you can put in some lowering springs but it won't make it handle better and may spoil the ride quality. If you dont have a rear sway bar i have a stock 2.0 one which came with my car of your interested. Im Unsure if they will bolt on but someone else will know. I replaced my muffler with a straight pipe which my mate did. Gave it a bit of a noise. Doesnt sound as good as the turbo versions tho. 2007 is the border between the old and new shapes, the new ones have completely different rear suspension setups so suspect it wouldn't fit. Subru hits the nail on the head, there's plenty you can do in the cosmetic area but limited performance mods that are worth doing.